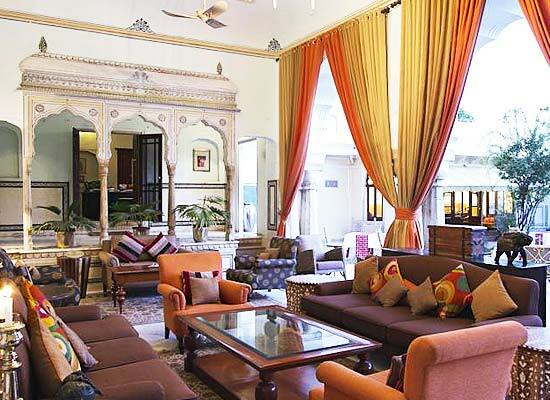 "One of the finest heritage hotels in Jaipur, Samode Haveli in Jaipur is a cozy hotel located in the heart of the city. 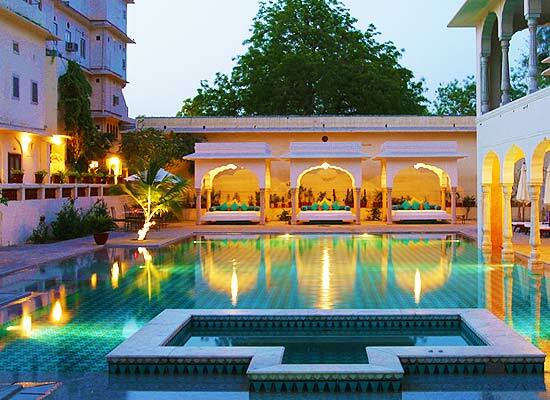 All the prime tourist attractions of Jaipur, including the imposing Amber Fort, Hawa Mahal, Jal Mahal, the City Palace Museum, and the shopping center in Jaipur are in close proximity to the hotel. The Samode Haveli, is an antique haveli built 225 years ago by the Rawals of Samode. Rawal Sheo Singhji, the then Prime Minister in the Jaipur court laid the foundation of the haveli. His family is said to be related to the fabled Prithviraj Singh ji, the 17th prince of the Kacchawaha Rajputs. 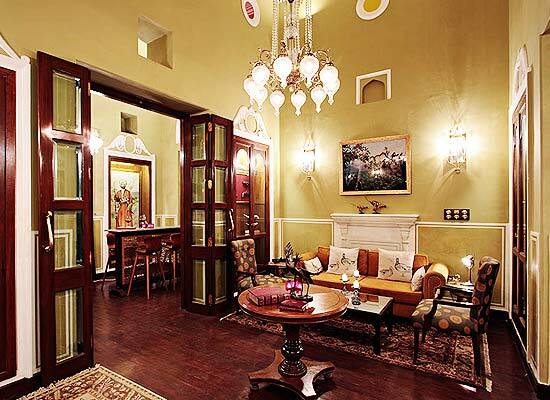 The Samode Haveli is an exemplary Indo-Saracenic regal residence. The majestic old mansion is adorned with beautiful gardens, courtyards and terraces. The architectural marvel remains cool even in the harsh sun and heat owing to its splendid design. 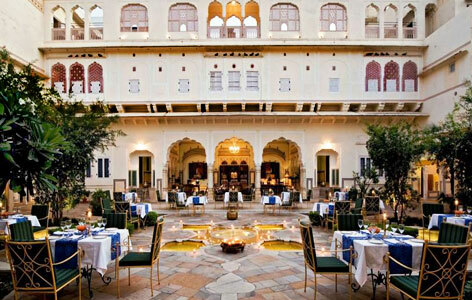 This Haveli of the Samode family was converted into a luxurious heritage hotel in 1988. 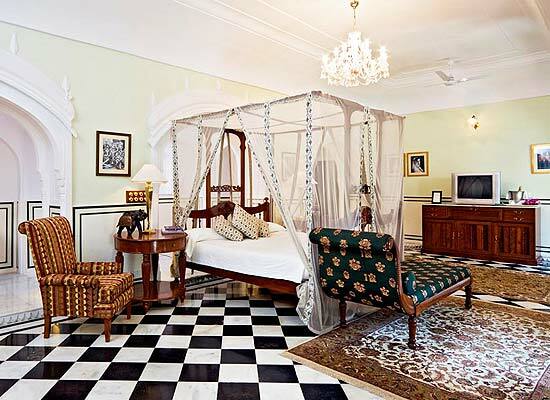 The antique furniture and original art work are kept intact. 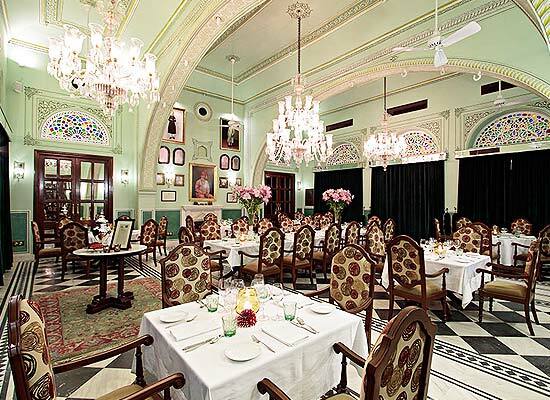 It is magnificent reminder of the glorious past of the Samode family. Restaurant :- Satiate your gastronomical desires at the hand-painted dining hall with some delicious preparations. Private meals and candle-lit dinners can also be arranged in the lush green back garden. The Pub :- Unwind with some delightful wines and liquors at the well-stocked bar by the pool side. Situated in the North Indian state of Rajasthan, Jaipur is a beautiful city dotted with golden sands, magnificent forts, and charming palaces, mansions and gardens. Popularly known as the Pink City of India, Jaipur is renowned for its blue pottery, hand block print, embroidery, jewelry, and enamel work, promises a wonderful shopping experience.